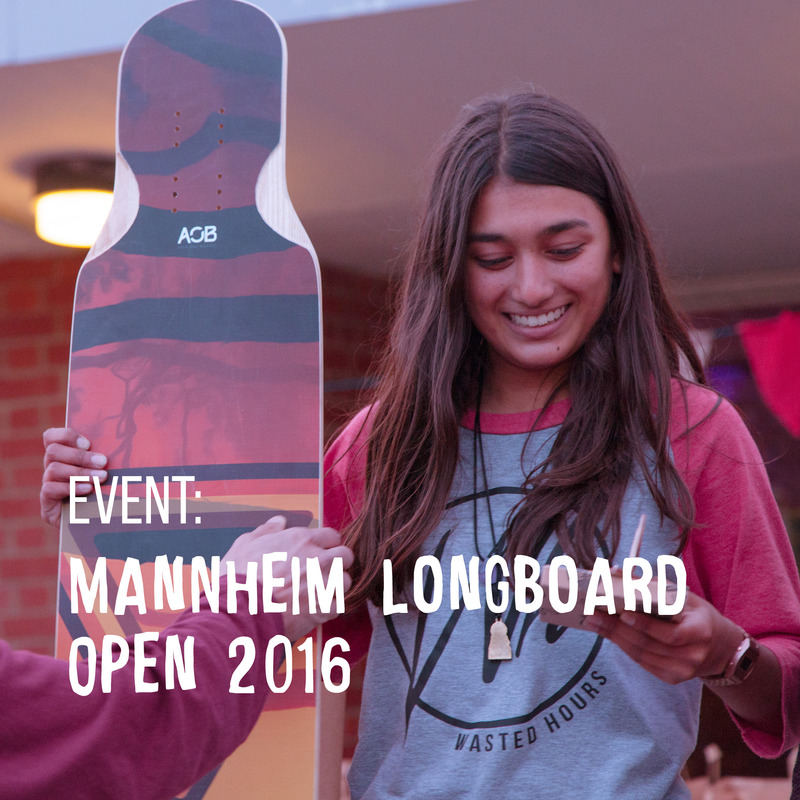 Last weekend, the very first Mannheim Longboard Open took place at the FRANKLIN-Mannheim, an old military base. Unfortunately, the weather turned out pretty rainy, but the organiser twins Joseph and Philippe Koffi-Gue, the Southside Longboarding Crew and the FRANKLIN-Mannheim-Team had a nice and dry backup venue for the event, at the old tank parking on the base. It was a nice and personal skate event with the well known longboard family atmosphere, that everyone enjoyed pretty much! It was also an event where so many people from many different countries attended. 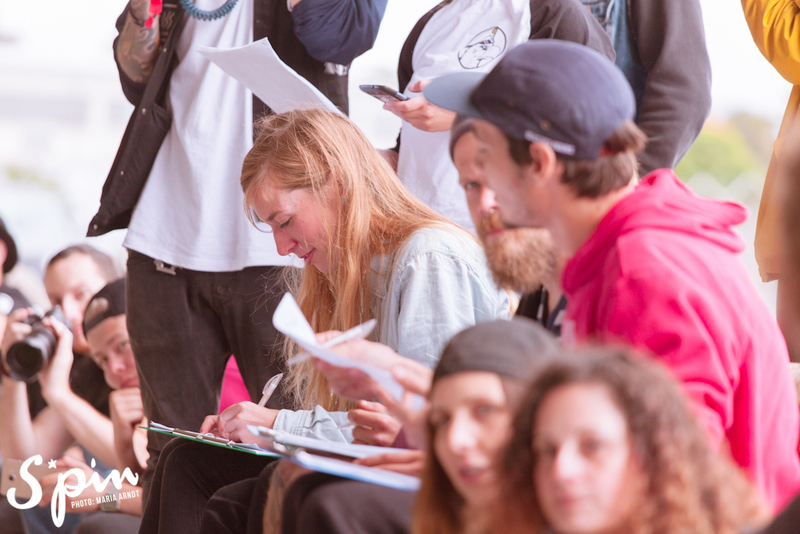 Skaters travelled from Austria, France, Germany, Italy, Netherlands, Poland and Spain to participate in four different contests: Dance/Freestyle, Best Trick, Hippie Jump and Game of S.K.A.T.E.! 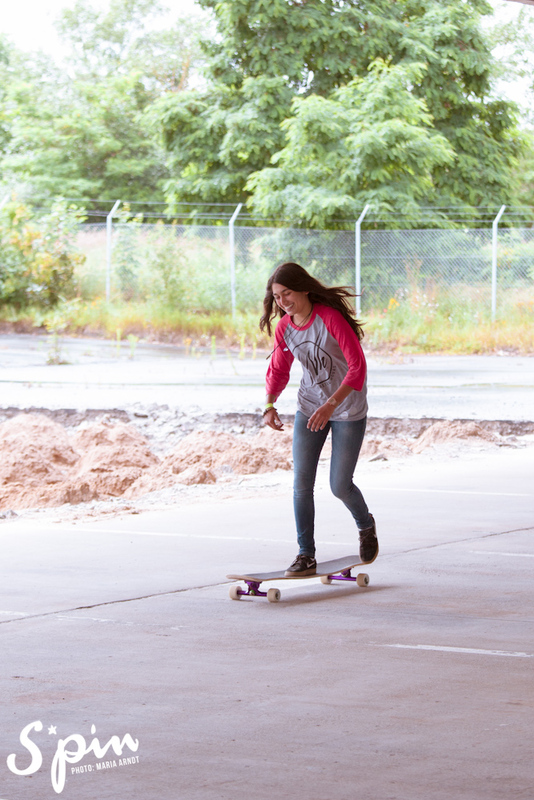 16- year-old Nadya Doerga from Zwolle, Netherlands, one of the youngest participants of the event took part in three of the contests; the Dance/Freestyle, Best Trick and Game of S.K.A.T.E. winning 1st place in the Women’s Class at the Dance/Freestyle-Contest! Every time at contests it’s so beautiful to follow the progress of all skaters, especially of the bold energy of the new generation! Katarzyna Haj had a long journey from Warsaw, Poland – along with Natalia Kowerda – to participate placing 2nd with her new board, that had just been finished before she needed to leave for the MLO! Marte Bosma from Utrecht, Netherlands won the 3rd place followed by Xenia Iwanowa from Bochum, Germany on the 4th! We also welcomed a new face, Mariya Milusheva from Munich in the women’s class, who just started skating 6 months ago. 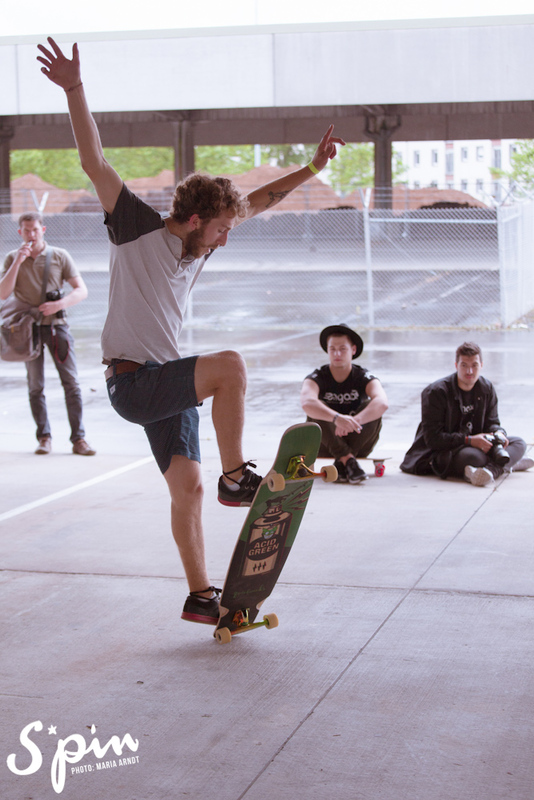 Also in general many new faces took part at the MLO and the Longboard Family definitely grew in the past weekend in Mannheim with a lot of love and a lot of party! The judge couch had a positive atmosphere and agreed well with most of their decisions. The judges were David Ben Holtz, Germany, Werner Wildberger, Austria, Peter Markgraf, Germany and they also had a female addition with Deborah Keser from Cologne, Germany, who lately won the Dance World Cup in Eindhoven. Unfortunately it’s still not a common sight to have a female judge on board, so it was stunning to see her on the other side, even if we missed her skating! The organisation of the runs at the MLO for the different classes were well done too, because quite often the difference in number and time of runs for women and men cause disturbance, discomfort and discussions at former events. So the mixed class skating for the qualifying, two skaters each run, with 90 seconds, that were judged separately and the final run, that took part in women’s and men’s category with 2min single runs, was a great solution! S*pin was also able to film a little with Nadya Doerga and Natalia Kowerda some little Tricktips, so keep your eyes peeled! Summing it all up: The Southside Longboarding Crew, the Koffi-Gue Twins with the FRANKLIN-Mannheim-Team did a great job of the organisation and took care of everything, that everyone felt comfortable and had a great time! Thanks for the sweet event! We can’t wait for the the second MLO 2017!